From grad students to professionals with 20+ years of experience in plant biology, participants view the annual Plant Biology conference as a premier science event because of its perfect blend of research, education and networking opportunities. In San Jose we expect more than 1,500 scientists from nearly 40 countries to participate in the meeting. The green revolution brought significant yield improvements for many cereal crops, primarily resulting from the ability to apply nitrogenous fertilisers. However, the predominant beneficiaries of these yield improvements remain wealthy farmers in developed nations and fertiliser application accounts for a significant proportion of the pollution derived from agriculture. Achieving more equitable and sustainable agricultural systems requires a different solution to nitrogen in agriculture, other than the application of fertilisers. Prof Giles Oldroyd studies the mechanisms by which plants form beneficial interactions with micro-organisms, both bacteria and fungi, that aid in the uptake of nutrients from the environment, including nitrogen. A long-term aim of this research is to reduce agricultural reliance on inorganic fertilisers and he currently heads an international programme funded by the Bill and Melinda Gates Foundation to engineer nitrogen-fixing cereals. 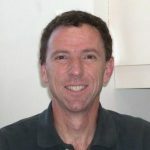 He completed his PhD in 1998 at the University of California, Berkeley, studying plant-pathogen interactions and then moved to Stanford University, USA, to work on nitrogen fixation in the laboratory of Prof. Sharon Long. After working 15 years as a group leader at the John Innes Centre in the UK, he recently moved to the Sainsbury Laboratory Cambridge University. 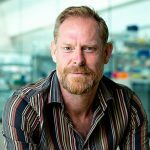 He has been recognised by a number of awards for his research: EMBO young investigator; European Research Council young investigator; Society of Experimental Biology Presidents medal; Royal Society Wolfson Research Merit award and a BBSRC David Philips Fellowship. 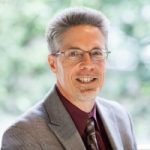 Crispin Taylor is ASPB’s Chief Executive Officer. He began his career in non-profits as news and reviews editor at The Plant Cell, becoming managing editor of the journal two years later. After four years at ASPB, Taylor moved to AAAS, where he worked to expand a career-focused resource called Science’s Next Wave that has since been subsumed into Science Careers. In 2004, Taylor moved back to ASPB and his current position. 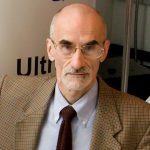 In this capacity, he has become active in the scholarly publishing arena, serving on the Scholarly Publishing Roundtable that was convened in 2009 by the U.S. House of Representatives Science and Technology Committee (http://www.aau.edu/policy/scholarly_publishing_roundtable.aspx?id=6894). He remains committed to providing robust professional development information and skills to scientists, particularly those near the beginnings of their career; and he has embraced partnerships with many other organizations and networks to help further ASPB’s objectives in this and other areas. 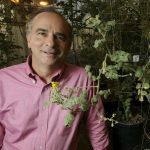 Andrew Bent is a Professor of Plant Pathology at University of Wisconsin – Madison who studies the molecular and cellular basis of plant immune system function. His laboratory presently focuses on mechanisms of soybean resistance to soybean cyst nematode (the most economically damaging disease of soybean). They also study pathogen-induced damage to plant DNA, defense-associated poly(ADP-ribosyl)ation, and control of callose deposition at infection sites. Andrew is also known for his postdoctoral work with Brian Staskawicz at UC-Berkeley that established Arabidopsis and Pseudomonas syringae as a model system for plant pathology, and the discovery (with others) that plant R genes encode NB-LRR proteins. The Bent lab has also identified cyclic-nucleotide gated ion channels that contribute to HR cell death, defined floral dip transformation methods for Arabidopsis, and contributed multiple insights regarding the structure and function of the plant flagellin receptor FLS2 and other LRR-containing proteins. Wenbo received her Ph.D from the University of Waterloo in Canada. She established her independent research group at the University of California Riverside as an assistant professor in 2006 and is now a full professor in the Department of Microbiology and Plant Pathology. Research in Wenbo’s laboratory investigates the molecular basis of plant diseases. A main focus of her research program aims to understand host-pathogen arms race by elucidating the function and evolution of virulence proteins called effectors, which directly manipulate the immune system and other cellular processes in the host to benefit infection. 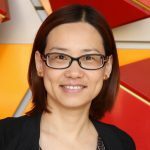 Using effectors as molecular probes, her research provides mechanistic insight into microbial pathogenesis and plant immunity, thus setting the foundation to enhance disease resistance in crops.